Everyone realizes we need to think in a new way. The question is, how? 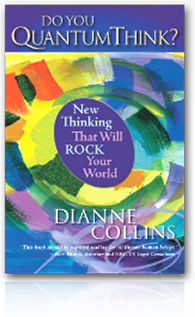 Drawing on cutting edge quantum insights, ageless spiritual knowledge and revealing the essential role of the mind in living effectively with modern and pop culture–Dianne Collins offers us advanced thinking principles for leaps in awareness that enable real solutions, from the pursuit of inner serenity to harmonious relationships, business results and global affairs. This book puts it all together with cheeky wit and exceptional wisdom to make sense of our dramatically changing times and the necessity for new thinking at this critical juncture for humanity. Dianne Collins presents an unprecedented twist to the idea “thought creates reality” taking it from new age lore to intelligent modern necessity. The book highlights absurdities of modern culture, crafting a convincing case for a new thinking paradigm. Surprises, entertains, enlightens on intent, intuition, subtle energy and much more. Buy the book online and wherever books are sold. Do You QuantumThink? 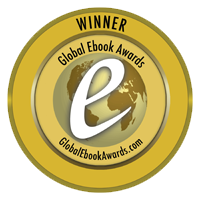 introduces the world to the method of QuantumThink® a groundbreaking new system of thinking for mastering effectiveness in a changing world as developed by author Dianne Collins. The mission of Do You QuantumThink? is to help all of us make a Quantum Leap from the archaic industrial age thinking of our recent past, to a new era of quantum age thinking that is holistically attuned to modern developments in quantum physics, technology, and spirituality. Ms. Collins explores the age-old philosophical questions of how our subjective thinking affects our reality using the insight from the scientific breakthroughs of quantum physics. But the importance of this book’s message of the ability to affect our reality by a more constructive way of thinking goes beyond achieving individual well being to the global implications of this fundamental change in our worldview. Do You QuantumThink? breaks it all down to 21 precise principles, a “system” of thinking which will walk the reader through every aspect of this powerful new concept! What People Are Saying about Do You QuantumThink? “There is no book—of the thousands upon thousands on the shelves today—which so clearly gives us access to harnessing the power of thought to create our reality as this one. Do You QuantumThink? is the pre-eminent manual for living in the 21st century … a must for creating a life of one’s own design.”—Cynthia Greenawalt-Carvajal,Contributing author to the New York Times bestseller, Masters of Networking / Senior Partner, Vision-Source Consulting, Inc.